The SlidePresenter solution lets you easily create professional video trainings in no time. To do this, you can choose between different formats and numerous additional features. With the most frequently used format “Video presentation”, you can present your documents in video format. In addition, you can use our solution for creating screen recordings, video communication, podcasts and much more. With our solution, you can import your own documents, e.g. your PowerPoint presentation, and record yourself while presenting and explaining them. Our solution allows you to record your screen and explain what is happening simultaneously via voice recording. This is especially useful for software tutorials! − perfect for exchanging ideas! – without the need for professional equipment. 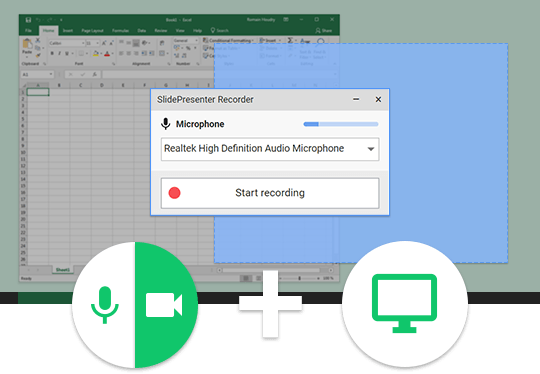 Use your webcam and microphone to create the perfect video training and present your documents. 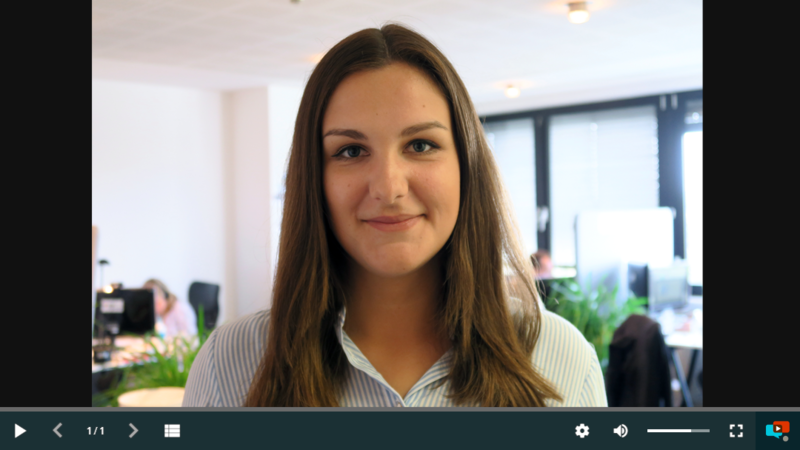 Afterwards, you can edit your videos, enrich them by adding interactive elements and share them with your colleagues with just one click. This seamless combination of video and presentation slides is what our customers appreciate most. It's the format that made SlidePresenter what it is! − directly on your screen. With our Screen Recording functionality, you can record videos from your screen to present processes or explain problems in a particularly vivid way. Thanks to simultaneous voice recording, you can also comment on them immediately and provide further information. This is particularly useful if you explain software processes or communicate with software developers, designers and agencies. Record a personal video message. 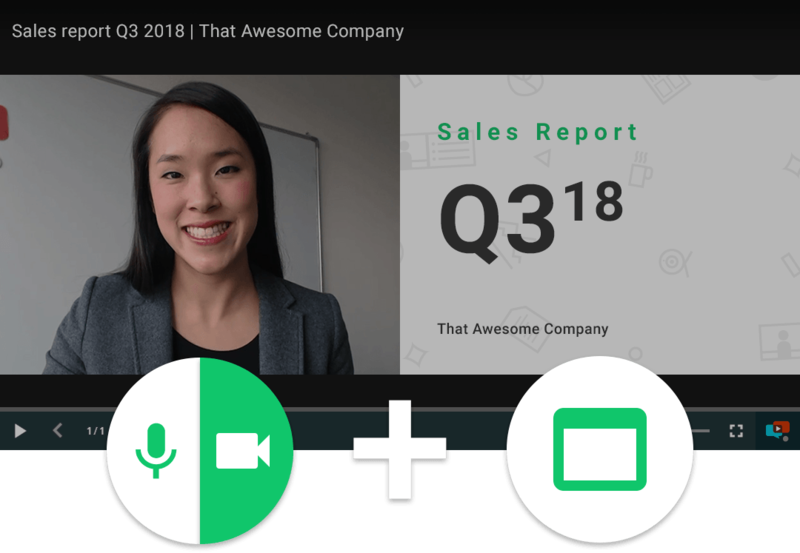 A webcam is all you need to send an update to your partners or record an uplifting message for your employees and share it with as many viewers as you like. 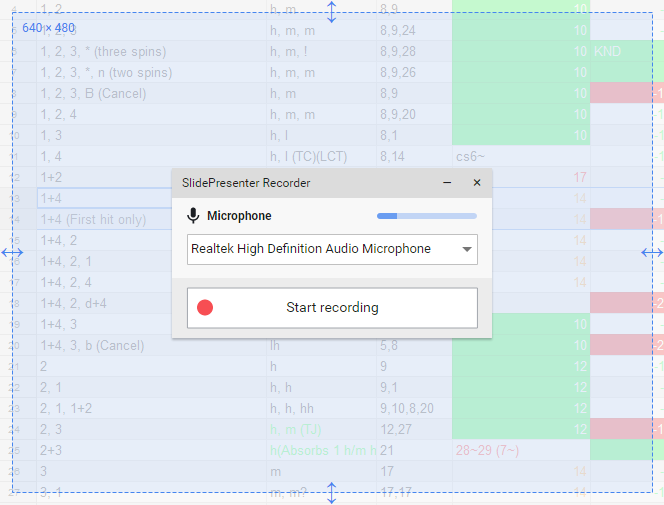 the Direct Recording functionality of SlidePresenter is helpful. 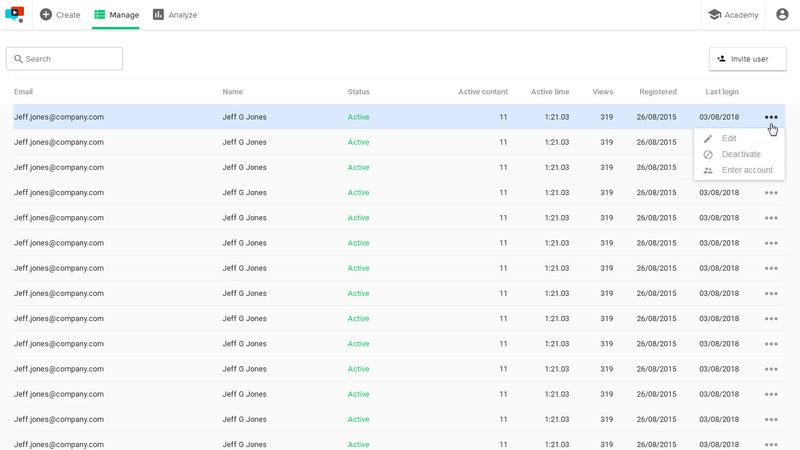 In addition to the three formats, you have the choice between numerous additional functions, that simplify the creation and management of your content. − without previous technical knowledge! You can easily edit your videos with the video editor that's integrated into our solution and achieve a professional result. For example, you can quickly add an intro sequence or eliminate a slip of the tongue. Tip: We recommend taking a short pause after making a mistake. Then, repeat the sentence from the beginning. This way, you can easily cut out the error in the post-processing with our video editor. Your notes will be imported automatically. When uploading your PowerPoint presentation, the notes you've entered are automatically imported and displayed in our teleprompter during the recording of your video training. 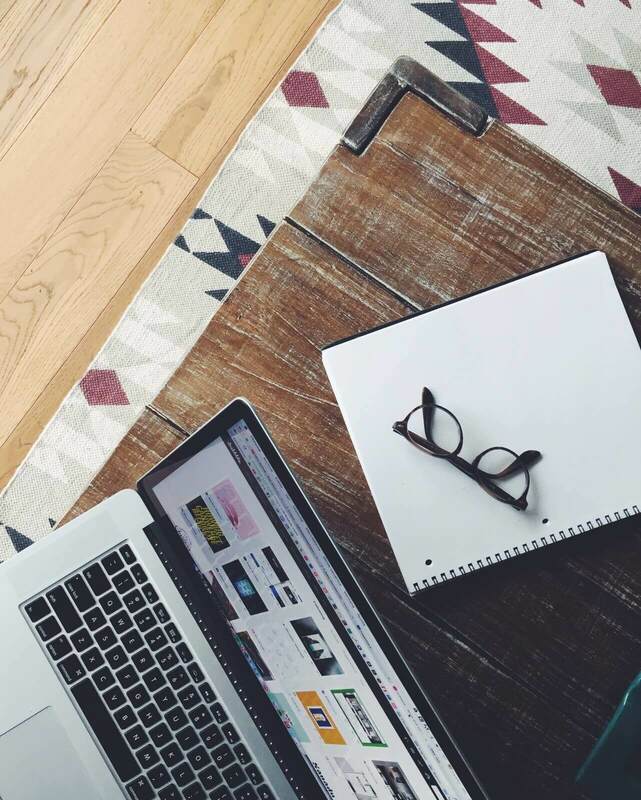 You don't have to distract yourself with handwritten notes, can fully concentrate on the presentation and never lose the thread again. 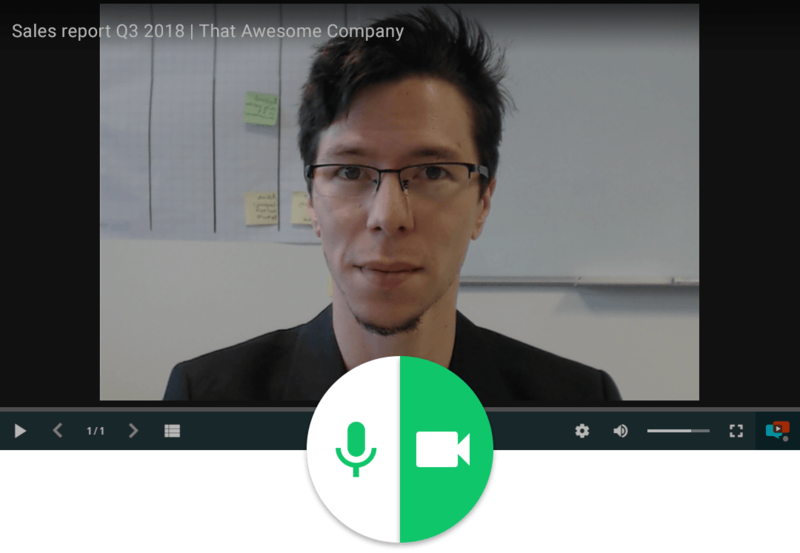 At the same time, you express self-confidence, can address the audience directly and make eye contact, as everything you need (presentation, video recording and notes) is bundled inside a single solution. Keep track of all authors and the content they have created. The content of all creators within your company can be controlled, edited and published centrally by the administrator. Your administrator is also able to create and distribute accounts so that all subject matter experts can be easily integrated into the process of creating video presentations without having to install a software.